I am a free motion quilter with a passion for teaching, giving quilters permission and the knowledge to do the quilting they want to do is the goal. 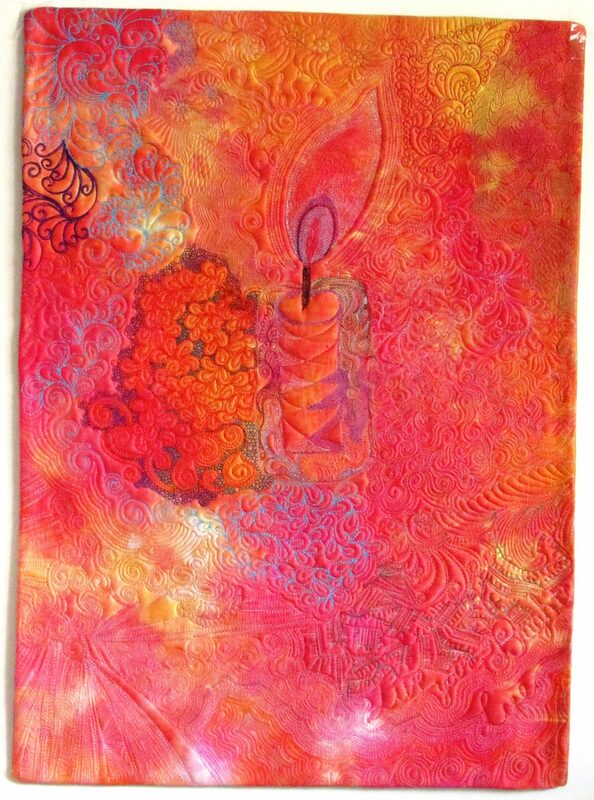 I started machine quilting in 2006 after working on a hand quilting project for several years, deciding one afternoon that I was just done! Learning how to pair needles and thread, adjust tension (machine and me), and play made all the difference. Email me at terificreations@gmail.com for more information on classes and speaking engagements. Sitting at the machine messing with fabric, thread, batting, and time is the highlight of my day. I have a pattern in the upcoming Modern Patchwork magazine featuring Melanie Testa’s newest fabric line Florabunda. 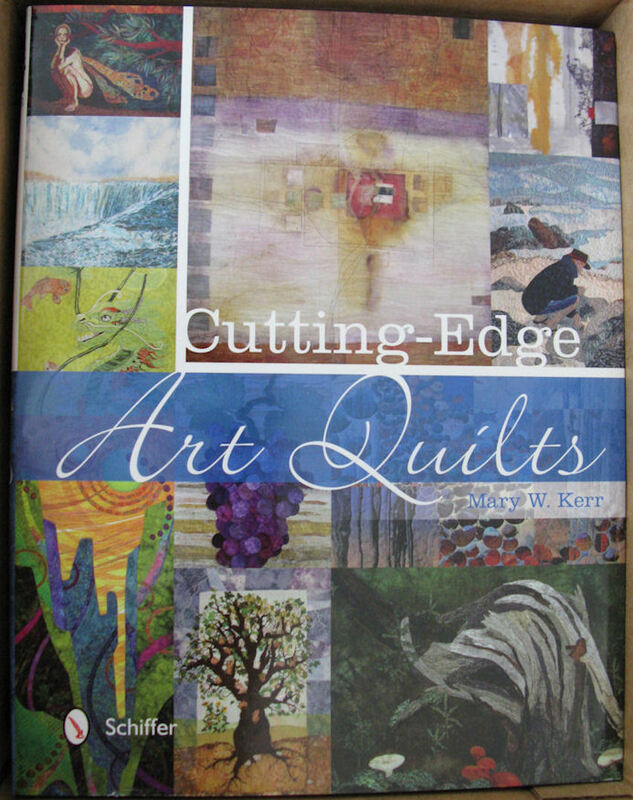 I’ve written for several publications including Generation Q Magazine and Quilting Arts. I am currently working on a book with C&T Publishing due out in Spring 2020. I’ve taught with American Quilter’s Society, Quilts, Inc. (Houston), Road to California, as well as Quilt Guilds and Quilt Shops. In October 2017 I was the Featured Speaker at the Dutchess Heritage Quilt Show. Community Editor – Online/Special Projects, and Ad Sales Manager for Generation Q Magazine. Rit Dye on going series using Shibori dye techniques. “Giving quilters permission to do whatever they want since 2009.” A passion for quilting, and teaching. 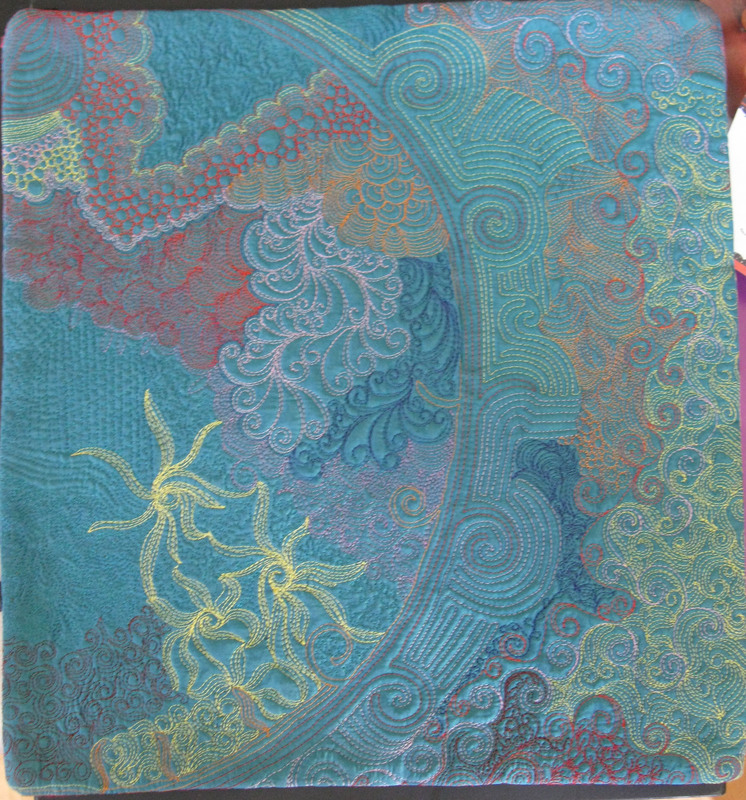 You do a wonderful artwork, I love your quilting (by hand ?). The quilting shown here is all machine work. I do hand quilt, not as much as I did a few years ago. Terry … I’m contacting you on my wife Janie’s behalf. I was reading your article on the Bernina Stich Regulator. What I’m asking is this …. will the BSR work on the Bernina 1080 or 1090. I was wondering. She has both of these machines. Also are there different models of the BSR for various Bernina. Thank you for reading the article on the Bernina Stitch Regulator. The BSR will not work on the 1080/1090 as the machines do not have the required computer hardware for the BSR and the computer part to communicate, and work together. The 440 was the first machine that had the technology for the BSR. There is only one BSR – but there are models that come with the BSR, and models it will work with – starting with the Bernina 440, and each new series since then, including the 5, 6, 7, and 8 series. What I would encourage is looking at the 5 Series, and the 7 Series machines either at bernina.com or visiting a local dealer. If you would like more info directly from me, please don’t hesitate to ask. You are an amazing quilter. I enjoy your daily blogs – they’re quite enjoyable. Where do you get the inspiration for your quilts and the colors you use? Will you ever teach a class in or near Maine? I would be happy to travel to Maine and give you private lessons. Email me. Weather is confusing here in So. CA. A couple of days ago it was 55, today 99! There will be three winners – names drawn at random from the Show and Tell postings on May 31st and posted on this page June 1st. If you have previously posted a photo, simply drop me an e-mail quiltqua@gmail.com and let me know you wish to be entered. ***I plan to start a new category at Quilt Qua – for Give Aways, so do let me know if you are having one, or if you know of one. I hope you are having lovely Spring weather where you live! Finally made it here to check out some of your work. It’s great. My quilt project got derailed for the moment. We got a welsh terrier puppy and she’s a HUGE handful. Though she’s only 3 months she keeps me busy NON-STOP. 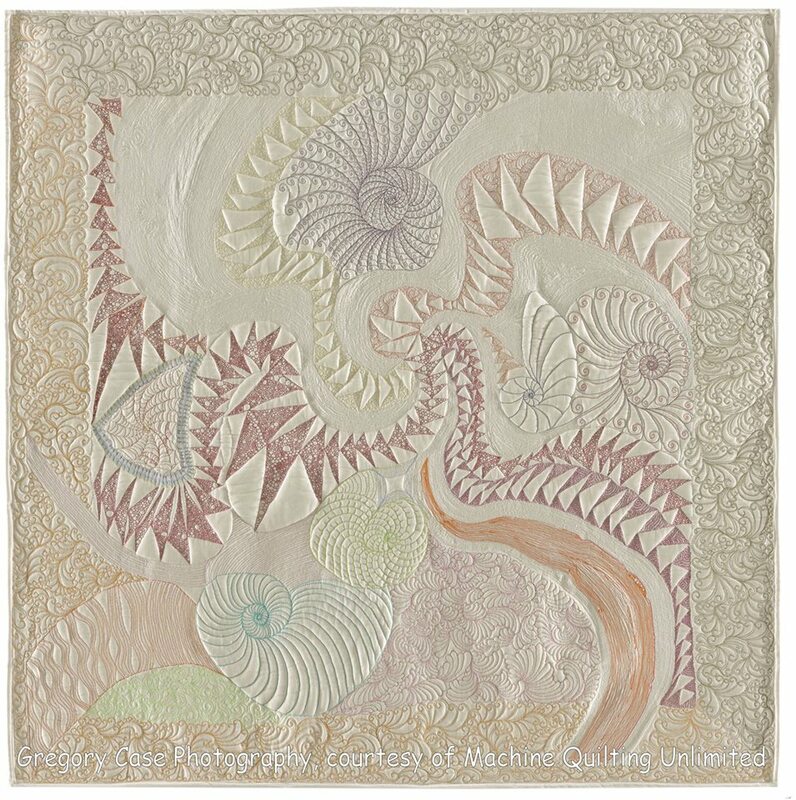 I want to stick w/your idea to look at batik fabrics and use a free form-abstract style. I’ll do a drawing and provide the fabric. Haven’t decided on a size yet! Will keep you posted. Still have my neckroll pillow to pick up from Hartsdale! Do you have on-line classes? I play in a folk band in the UK. Could you let us know if you would be interested in this? Thanks for sharing your beautiful quilts! Duh – I didn’t even know you did all this!! Wonderful stuff! Was googling where to buy a darning foot for my 1080 and came across your blog. I am finally sitting down to quilt the little baby quilt you helped me choose border fabric for and to practice my free motion quilting that I learned in your class this past summer and…..oh no, no darning foot!!! Very happy to find your blog and read more and especially happy that I am now able to show my family some of your work. My wife is quilting too. She loves quilting by hand, but it is not imperative. Thank you very much Dianna! I’ll take care of the details in a few days. i found your blog :)) how do i join it?? Oh wow, I just adore your work Teri!! Please tell me you do requests?! I just signed up for your class Free Motion at the Road to California. Do iI pay for the kit fee at the class? When I registered it only charged me for the class and registration fee. Thanks Peggy! What is your email address — I can’t find it on this site. Need more specific information on how many 1 1/4″ strips and give length for each gradation in color for the Go Mini or Go Home class you are teaching at Road. This information would be SO helpful. Thanks. Hi, I just watched your episode on The Quilt Show in which you demonstrate using rulers on the domestic machine. However, I didn’t see where you addressed the issue of the back of the presser foot. Can you explain what you do. Thank you. I sure will Sally, give me a couple of days to work up a blog post and I’ll make sure to email you about it when I do.